As data acquisition continues to soar in health care organizations, best practices for storing and protecting these assets are emerging. As the health care industry tries to wrap its hands around initiatives such as health information exchange, population health management, and accountable care, it's becoming more apparent that data themselves are the key foundational component to success. The need to leverage data to improve care delivery is driving organizations to collect as much as possible, causing a greater need for effective strategies to manage and share the information. As the industry grapples with the explosion of Big Data, health systems are seeking best practices for storing and archiving the information without becoming overwhelmed. A recent survey, sponsored by HIMSS Analytics and Iron Mountain, focused on data backup and archiving practices in health care organizations. Unsurprisingly, the findings indicate there is room for improvement in how hospitals manage their data protection processes. "The Perfect Storm: Navigating the Health IT Archiving and Data Management Challenge" found that only 52% of the 150 respondents reported having an archiving strategy in place. By neglecting this feature, facilities are taking a financial hit, says Michael Leonard, director of product management for HIT at Iron Mountain. "Based on how quickly data ages and becomes inactive, an archiving strategy can save organizations money by moving inactive content to less expensive tiers of storage as soon as it is practical," he says. "Much of the clinical data that is generated is seldom accessed after the initial clinical encounter, and within 18 months, at least 70% will not be accessed again." According to Jennifer Horowitz, senior director of research with HIMSS Analytics, nearly one-half of data storage needs stem from the creation of clinical data. "Two-thirds of respondents indicated that the biggest contributor to data growth at their organization was EHR implementation," she notes. While EHRs are advancing the exponential proliferation of data, vendors often are not prepared to handle an abundance of archived data within the live system, says Tony Maro, CIO of EvriChart. "For instance, I've been told by a vendor that when a hospital converted to their system, they are not going to import more than two years of archived scanned data," he says. The HIMSS Analytics survey also found that more than 30% of the respondents did not have solid disaster recovery and business continuity plans in place, a lack of which creates direct risk to patient care during an emergency. In terms of managing the lifecycle of their data, only 42% of the organizations reported having documented retention policies that would help the IT department begin to manage such a task. According to Leonard, the report's findings, coupled with continued exponential data growth rates, mean that health care organizations face numerous challenges when it comes to data management. "While these challenges may seem daunting, there is some good news. Health care organizations today have a range of options to address these challenges," he says. "By putting the right strategies in place, they will be better positioned to succeed." Dan West, health care solutions manager at Hyland Software, says that facilities are catching on to the importance of constructing effective data storage plans. "Health care organizations understand that the status quo has to change," he notes. "Once they start down that road and see the value, then they start accelerating it." Leonard describes information governance as a high-level concept that can be viewed as an umbrella that covers the concepts of storage, retention, and data growth. "Information governance is catching the attention of senior leadership in health systems today, and an organization's information governance program will influence how backup, archiving, disaster recovery, and business continuity plans are developed," he says. "When an organization has a good understanding about the information they have, how they want to use it, and how long they need to keep it, they can make better-informed decisions about the policies and processes for managing this information across its lifecycle." While best practices suggest that organizations should store only what they truly need, West points out that many are attempting to store everything—indefinitely. "The best practice would be to apply retention policies to data," he says, pointing out that sometimes real-life situations make this notion impractical. For example, because scrubbing and purging data can be resource intensive, many health care organizations prefer to focus on more immediate needs. In the interim, West suggests facilities take steps to ensure the data in their systems are serving their needs. Horowitz says that while the health care organizations represented in the HIMSS Analytics study tend to keep the majority of their data onsite for immediate access, respondents also noted that the majority of data were accessed within the first six months of being generated. "This suggests that organizations should be able to consider moving older data into offsite archives that are easily accessible," she says. Robert Lynch, president of EvriChart, says health care organizations—especially those with outdated legacy systems—would be much better off moving data to more cost-efficient storage options. 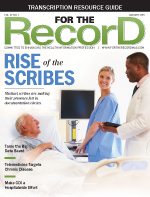 "Many organizations are on second- and third-generation EHRs," he says. "Even though their legacy data exists in electronic form, it might be stored in a health information system where they are having to pay a licensing agreement to keep it running." When implementing an information governance strategy, Leonard says it's important to treat archiving as a distinct discipline from backup. A comprehensive data protection strategy must include specific plans for what content should be archived and what content should be backed up. He points out that a good backup process is a nonnegotiable component, but it's not the solution to all data management problems. "Organizations should develop enterprisewide retention policies so that the IT organization has clear guidance from the business owners about how to address retention requirements," Leonard says. "These policies should be based on the organizations' information governance strategy. By developing sound policies, organizations will be better positioned to address the need to protect their data throughout its lifecycle." An effective archiving strategy must take into account what data should be archived, as well as how and where they should be archived. "Not all archived data is the same, and different applications have different definitions of what archiving actually means," Leonard says. "For some applications, archiving is seen as another tier of storage that is readily accessible at the click of a button. For other applications, archiving means the data is offline and not accessible by end users." With either model, he says it's possible to tier storage so that data are preserved in the appropriate platform. "There is an access and cost tradeoff when it comes to archiving data, and that needs to be taken into account as you build your archiving strategy," Leonard says. "Much like backup and recovery, it is important to regularly test out your processes for recalling data from an archive location." He also points out that when health care organizations consider data management requirements, the initial focus is on the clinical applications they manage. In reality, several financial, administrative, and operational systems also must be taken into account. "As the survey revealed, large health care organizations are typically managing hundreds of applications, and even small health care organizations typically are running more than 100 applications across their enterprise," Leonard says. State and federal laws often govern data retention policies. Even with this framework in place, West says the trend within health care organizations is to store information indefinitely to avoid potential mismanagement of retention policies. "The idea of purging data is not at the forefront of their mind," he says. In general, clinical data retention policies are governed by state law and carry various retention periods. Some are as short as a few years while others extend up to 30 years or, for certain records, the patient's lifetime. For example, in the case of pediatric records, retention requirements run approximately 18 to 20 years. "To the extent that pediatric records are mixed with adult records, health care organizations must keep all of it," Lynch says. West says many organizations are moving toward central data repositories and document management systems to remove data from costly legacy systems. While larger health care organizations seemingly would be in a better position to address data storage from a resource and budgeting perspective, West says the cost is relative. For example, the enormous amount of data owned by large organizations makes any storage initiative complex. In fact, when it comes to storage, the introduction of virtualization has leveled the playing field for many organizations. West says cloud infrastructures built on virtualization have become attractive for their ability to reduce hardware and energy costs and increase business agility. According to Leonard, budgeting for data storage is driven by volume, but the process must cover all aspects of data protection. "The pure storage costs are only a part of the equation," he says. "Organizations need to determine how they will back up and archive their data, and what their disaster recovery and business continuity processes need to be." Leonard says these calculations must weigh capital and operational expenditures and decide whether in-house management or managed services are a better option. "There is no one right model for crafting a storage budget," he says. "Organizations must provide the storage necessary for their applications to run properly, and budget decisions should ultimately be determined by understanding how to optimize storage to support access and retention." Pointing out that the vast majority of US hospitals have fewer than 500 beds, West says resource-strapped small to midsized facilities are more open to outsourcing storage initiatives in an effort to achieve economies of scale. "Regardless of how well you are equipped, you have to have the right system that can scale with you," he says. Managing storage in-house via a document management solution is another option, says Maro, who notes that many organizations that opt for this strategy simply don't have the IT staff to manage storage on an ongoing basis. "The alternative is for hospitals to manage their own storage servers, which can get expensive," he says. "With visual data storage, a service provider can do that much cheaper than a hospital can do for themselves in terms of managing the infrastructure and keeping up with hardware, software, and security upgrades. Most of the time, hospitals have other things they need to be focusing on." The ability to quickly locate, control, and use data is a sign the storage system in place is working as intended. "The best way of keeping all of that information from being overwhelming is to create the right kind of searches to deliver exactly what people are looking for," West says, pointing out there are solutions available that can help organizations effectively navigate the complexities of making data actionable to improve care delivery. For example, enterprise content management software can aggregate data from disparate systems, provide secure storage capabilities, and enable data retrieval and views based on the user's needs (eg, clinical, administrative, financial). Document management vendors offer an array of services, including medical records management, master patient index analysis, storage, data purging, secure hosting, and on-site scanning support. Leonard says the issue of whether to have a data storage and archiving strategy soon will be a moot point for large and small organizations alike. While larger organizations tend to have additional resources and healthy budgets to develop more comprehensive data management processes, small hospitals also are managing growing amounts of information but will have to do so with greater restrictions. "Despite the size of the hospital, there is not much an organization can do to minimize the amount of clinical data that is generated for each patient interaction," he says. "The volume of data per patient encounter is climbing all the time and all health care organizations need to figure out how they will manage that data within their specific environment."